The coming to Portugal on vacation of an old and dearest friend was the pretext to organize, last Sunday, a dinner of DIY pizzas. The rules of these DIY dinners where the guests get their hands dirty are the same as always. Each guest bring their own "secret" ingredients for pizza. 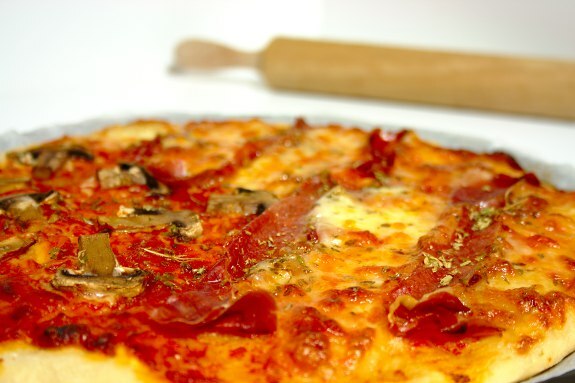 We provide the dough and one or two basic ingredients such as the tomato sauce, for example. This particular evening began with a toast to our friend Nuno and to the marvelous group of old friends gathered once again, with a glass of white wine Herdade do Esporão 2 Castas. I served immediately after the toast Azeitão cheese melted in the oven and sprinkled with oregano, pate, green olives with pepper and a little basket of bread and picos (Spanish mini breadsticks). Later, in the kitchen, the guests were given a pizza tray and a piece of dough to be stretched. And they all did it very well! 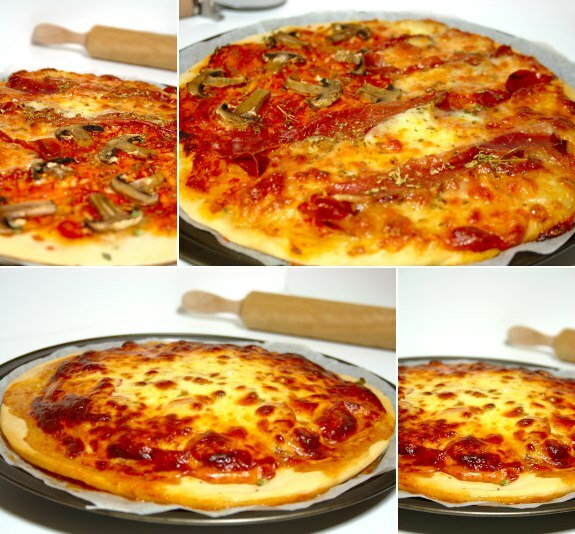 The process of preparing the pizza is one of the funniest moments in these occasions. When each one starts revealing the ingredients that they have brought, the inevitable happens. All of us start adding a couple of extra ingredients to our pizza. We exchange ideas. And, of course, we all have a great time. Claudia and Ricardo also shone with their pizza although they were constantly saying they don't use to cook much! That may have been one of their tactics to trick the other DIY fellows. 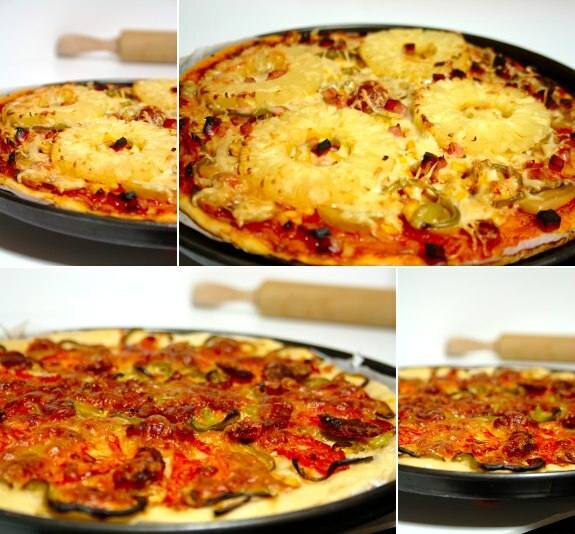 They used tomato sauce, canned corn and pineapple, bacon, peppers and grated mozzarella cheese. Ricardo and I used spicy chouriço, green pepper and both fresh and grated mozzarella cheese. Some of the pizzas were served with arugula on top. The chosen red wine was Herdade do Esporão reserva 2004. For dessert, Pedro brought a petit gâteau and I made ​​a chocolate and zucchini with hazelnuts cake. We accompanied the desserts and coffee with a glass of sweet white wine late harvest Grandjó 2007. The dinner continued until very late. In the end, the desire to repeat this again was unanimous. We all also hoped that we wouldn't have to wait so many years to meet again. Five Quarters of the Orange by Laranjinha is licensed under a Creative Commons Attribution-NonCommercial-ShareAlike 3.0 Unported License.